Canadian film director André Forcier shares his though process behind the creation of his films, while being a witness to scenes inspired by his filmography. It's the hunting season in the Pontiac region and most of the families are ready to head to the woods. Lindsay Labine, 13, a french speaking young redneck from Portage-du-Fort Canada, is left behind by her father. Upset she couldn't go hunting like her brothers, Lindsay is seeking the company of her only friend, Justine, 16. In the almost deserted village, they spend a few days made of conflicts and discoveries. When they find a 10 000$ worth lottery ticket, it gets serious. They have to find an adult able to cash it for them, but it's a hard time to trust people. 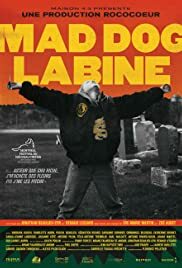 Daring blend of reality and fiction, MAD DOG LABINE is a 87 minutes film starring two non-professional actresses. The Pontiac is the central character of this fast paced, action-driven UFO as the twelve years old Eve-Marie Martin gives life to the lead character in an overwhelming performance.